All Scottsdale Embassy homes currently listed for sale in Scottsdale as of 04/20/2019 are shown below. You can change the search criteria at any time by pressing the 'Change Search' button below. "JUST REDUCED! 3 Bedroom 2 Bath Penthouse Style Loft is Mid-Century Modern perfection! Completely remodeled & updated. NEW Everything, Energy Efficient & a Killer Style. Located in a private cul-de-sac community, with a low HOA, 2 carport spaces. Lounge outside by the heated, salt water pool, and watch the sun set on Camelback Mountain. 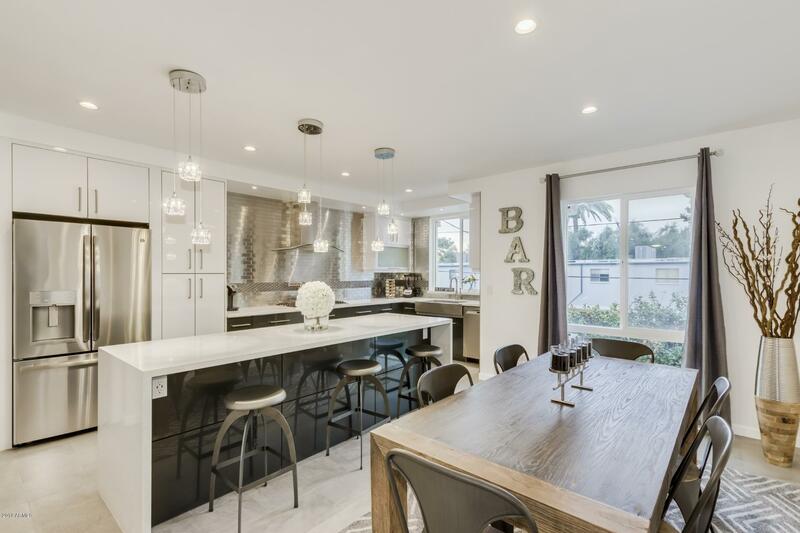 Entertaining is a breeze in this open concept kitchen with the chefs style amenities, quartz countertops, gas range, and pot filler. The custom cabinetry features"
"Old town Scottsdale charm meets modern retro cool in this classic combination of excellent location and great value! Oversized for a two bedroom, and each bedroom features a walk in closet-WOW! And there are TWO FULL BATHS! Washer/dryer, upgraded fixtures and nice decorator touches. 2nd floor unit with no interior steps, large covered balcony, interior quiet location near pool and so much more. 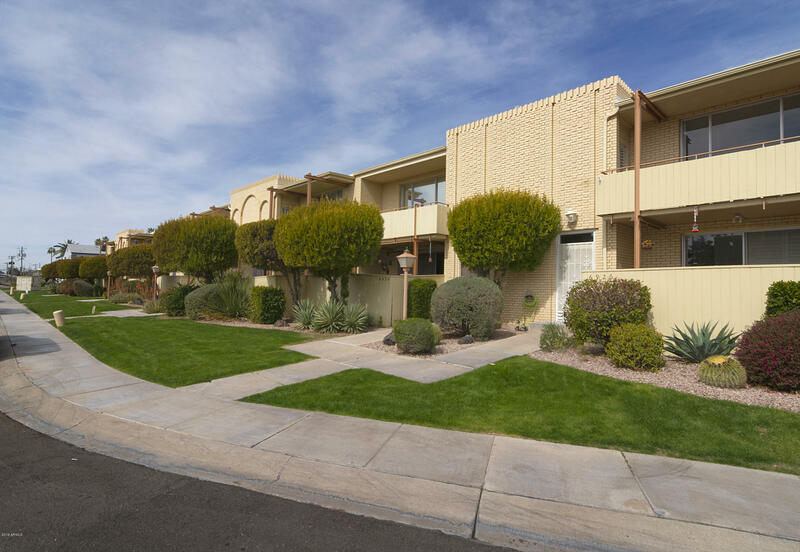 Located in the heart of Scottsdale where all the action is, just steps from world class dining, gal"
"Old town Scottsdale charm meets modern retro cool in this classic combination of excellent location and great value! Oversized for a one bedroom, this spacious unit features huge rooms, stainless steel appliances, washer/dryer, upgraded fixtures and nice decorator touches. 2nd floor unit with no interior steps, large covered balcony, interior quiet location near pool and so much more. Located in the heart of Scottsdale where all the action is, just steps from world class dining, galleries, clu"